Precision products for real workhorses. Elring can supply gaskets of all types - metal layer, metal-elastomer and metal-soft material - individually matched to the requirements of each particular engine. Cylinder-head gaskets (CHG) have a crucial role to play in the advancement of engine technology, particularly with respect to high-performance diesel engines and petrol engines with direct injection. 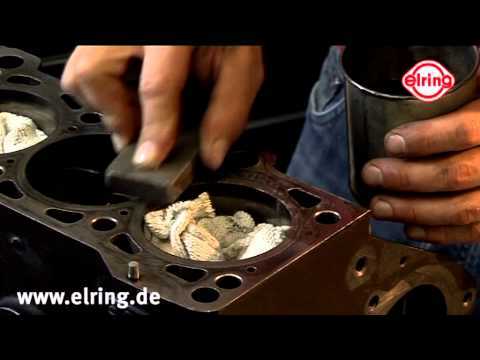 Development work at ElringKlinger always focuses on the entire engine system. Around 45,000,000 cylinder-head gaskets are produced each year. Whatever the engine concept, we can provide the right sealing system accompanied by an engineering service to speed up the development process from the original idea to production standard.